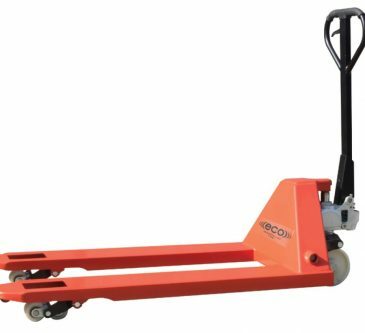 ECO I-55 w/Load Backrest - MOBILE INDUSTRIES INC. :: Material Handling Tranport, Lift and Warehouse Equipment. 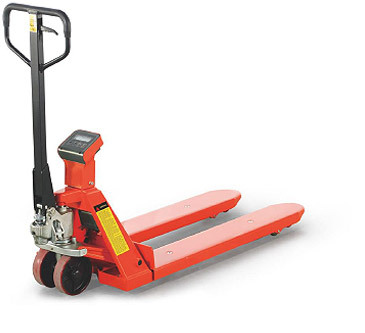 The ECO I-55 w/48″ or 60″ Backrest features a high quality pump for long life and easy field servicing. 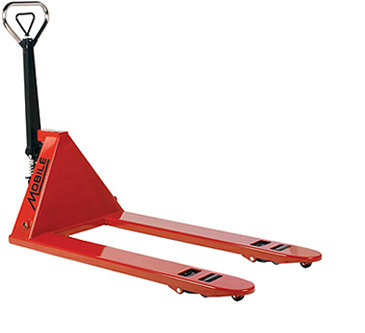 Durable, versatile and easy to use, its ergonomic design reduces operator fatigue and downtime. 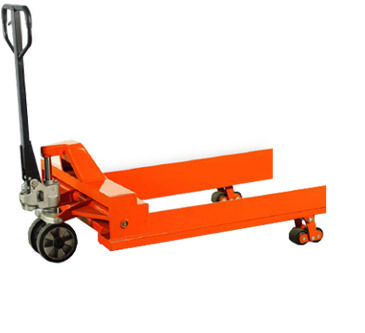 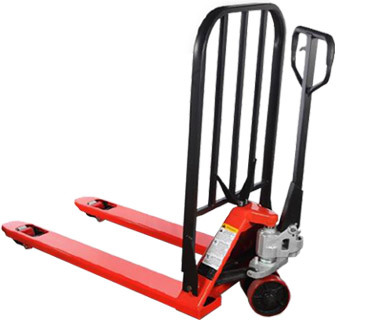 The ECO LBR is designed to handle pallets where cargo is needed to be kept in place and stability is an issue; offers 200 degree handle pivot for exceptional maneuverability in compact areas; comes with standard polyurethane wheels and rollers for rolling ease; features a powder coat finish; robotic welds throughout; and grease fittings at all pivot points for easy maintenance.